BARBEQUE COUNTRY STYLE RIBS, RUBS, AND CHARCOAL GRILLING TIPS | Cook, Party, Enjoy! It’s grilling time. There is nothing better than cooking on the bar-be. Tonight we made these Country style ribs with sides of Dill Potato Salad, 3 Bean Salad and Corn Bread. I am loving our charcoal grill. 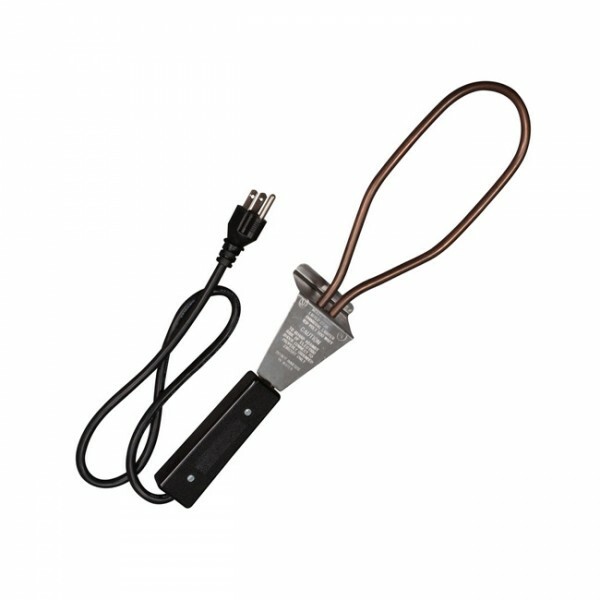 I use an electric starter which is so easy to use. No muss no fuss. 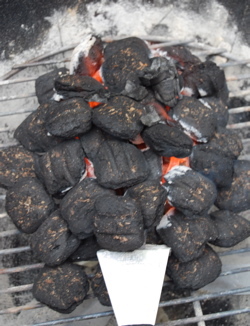 Just place it in the coals, plug it in and in less than 10 minutes you are ready to cook. Without it I don’t think I could start my charcoal with it I am a pro. This is the one I use. You will find them at most Lowes, Home Depot, Walmart, Target, anywhere they sell Grills and accessories. Place in charcoal, some under and some over. Plug in. Look at those coals. I am telling you it is fast and effortless. This is just after about 7 minutes. TIP: Preparing your ribs for cookin. For ribs remove the fatty membrane from the rack of ribs using a sharp knife, (a boning knife is excellent for this) . See *TIP for more about the membrane. Prepare ribs, remove membrane. 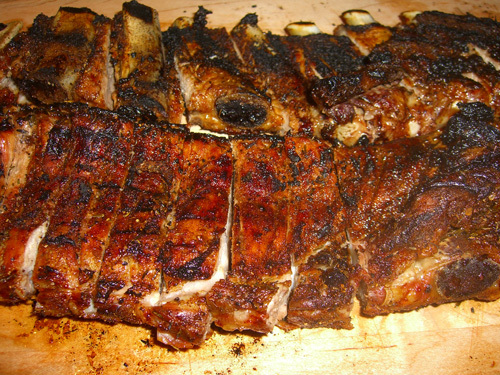 Place ribs in large 9×13 inch pan. Sprinkle on brown sugar & garlic and top with the sliced onion. 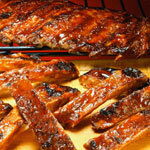 ***By doing a Pre-cook ribs can be finished in the oven or on the grill. Bake for an additional 2 1/2 more hrs. at 250 degrees. If you are planning of grilling the ribs, during the last 30 minutes Remove ribs from oven. Drain fat from meat. Place on grill and sprinkle with a little more garlic and brown sugar to taste. Baste with more barbeque sauce, top with more sliced onion, cover the grill and let them smoke. Don’t over cook. Remove from oven or grill and enjoy. In a small saucepan combine the ketchup, brown sugar, Chipotle rub, and vinegar. Bring to a boil and allow to simmer stirring often for about 5 minutes and then remove from the heat. If you like this recipe just use the BBQ sauce as you would any other. It will just give your meats a subtle smokey Chipotle flavor. * MORE ABOUT The membrane on ribs found underneath the rack is not only tough it also holds in excess fat making the meat greasy. Removing the membrane helps to render out the fat during cooking. To remove the membrane, lay the rack down on the cutting board meaty side down. Using the tip of the boning knife, gently cut under the membrane on one corner. Using a paper towel, grasp the corner of the membrane and pull gently away from the bones. Using the knife trim away any leftover pieces of fat along the underside of the rack of ribs. Combine rub ingredients together and apply to ribs. Refrigerate ribs in a plastic bag preferably overnight. Cook ribs in a 200 degree oven, wrapped in 2 layers of foil for 3 to 4 hours or until tender. Remove ribs from oven and Grill about 5 to 10 minutes per side. Remove pork ribs from grill and enjoy this world famous recipe. It’s our little secret. RUBS – MAKE YOUR OWN RUB FOR YOURSELF OR FOR A GIFT! These are versatile rubs that are delicious on steak, pork, ribs, chicken, or shrimp. Make it ahead and store it so you’ll have it on hand. It keeps well in a mason jar with tight fitting lid. Date it when you make it and it will stay fresh for 6 months if the seasonings were fresh when you made it so check those dates. Add the sugar and other spices to ground coriander and mix thoroughly. If you don’t like the sweetness omit the brown sugar. Store in air tight container and use as called for in recipes. This can be used as a rub or to season dishes. Combine all ingredients in a bowl. Gently stir until well blended. Rub is ready to use right away. Rub onto meat to be grilled. Store in a tightly sealed jar (away from heat and light) will keep for up to 6 months. with rubber band and then cover rubber band with ribbon and a bow. I first used this in Pampered Chef it is one of their spice blends but I discovered this recipe and I now use this all the time in place of the pc brand in all my recipes. Try the small batch and see if you like it and if you do make up a large batch and keep it handy. You won’t be disappointed. SMALL Batch makes about 4 TBS – this is enough for one or two recipes to try to see if you like it. In a bowl combine ingredients and whisk to combine. Pour into a jar with a tight fitting lid and store with your other spices and seasonings. Use in recipes as listed. LARGE BATCH makes about 3/4 of a cup – This is enough to store for yourself or give some as a gift. I hope this helps you with your grilling. Don’t hesitate to cook out. It’s easy when you use the right tools. Have fun! 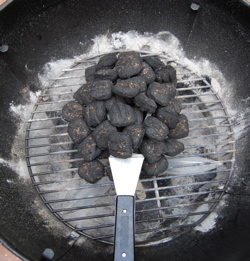 Pingback: Charcoal Barbecuing Tips for the Backyard Chef | Cook, Party, Enjoy!